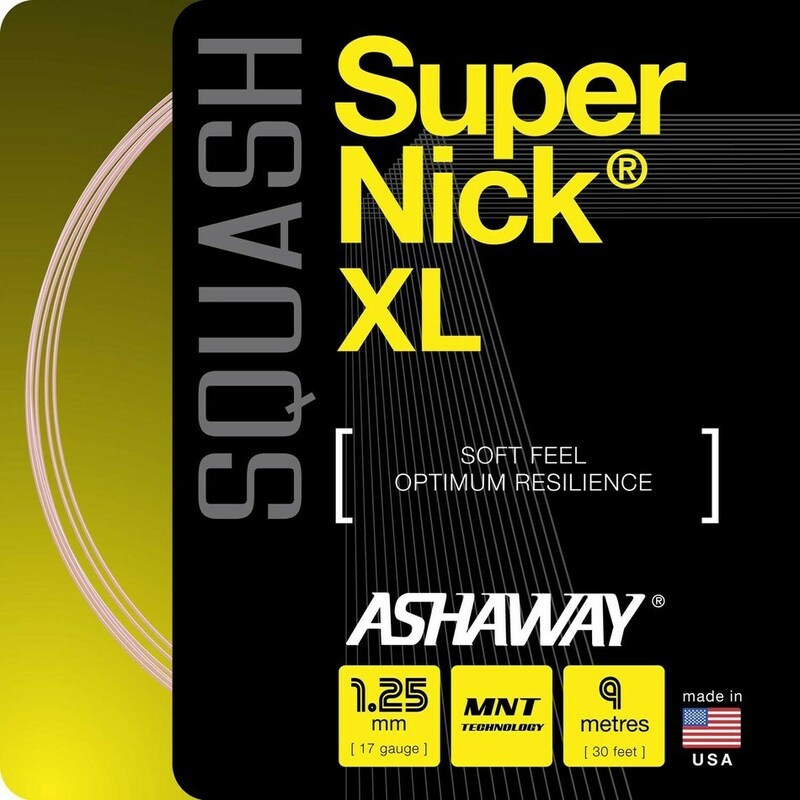 Here’s the Ashaway SuperNick XL. It’s 17 gauge, so on the thicker / more durable side. 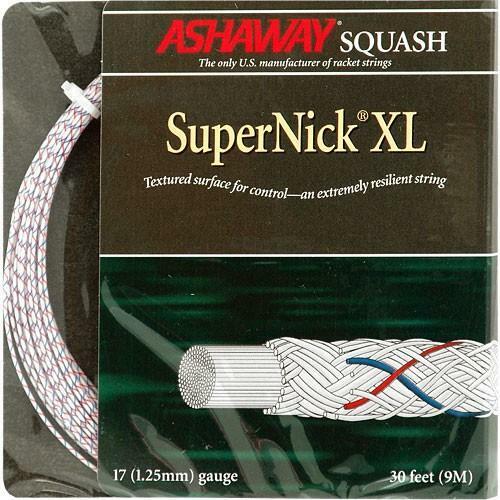 I’m posting different popular squash strings so people can comment on them if they want to. I think these were the strings I used all through college. I never paid much attention to them at the time — it was just the stuff coach had lying around when it came time to restring. 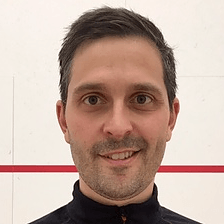 Man I can’t believe it’s been 15 years since I’ve strung a squash racket myself. Soft. Here’s the reel. This is how we used to get it in college. You had to measure out how much you needed for one racket. You didn’t want to go too short and then find out at the end that you didn’t have enought string, but you didn’t want to go too long and waste string. School of the hard knocks, baby. I’ve used this string a number of times. 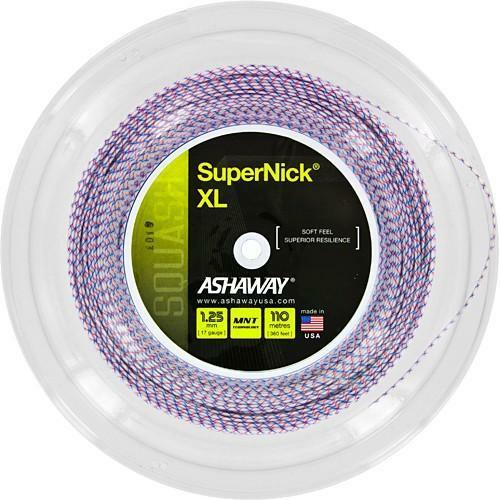 In my experience it loses tension pretty quickly, but is very durable, so if you want to get the most usage out of this string ask your stringer to pre-stretch them. They’ll likely still require replacing before you wear them through, but you’ll get a more consistent tension for longer. here is a link for some details.